MaryFran Simply...: Caught A Bug? This card is for the Paper Smooches Anything Goes Challenge. I really had fun with this one and maybe it's a bit too crazy, but what the heck. 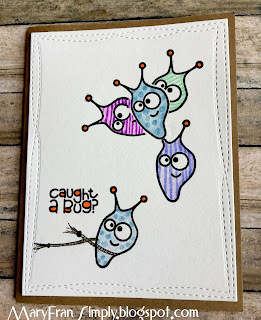 To create this A2 card I just masked, stamped, and embossed the little bug from this Paper Smooches Healthy Vibes Stamp Set, using one of the sentiments from it as well. 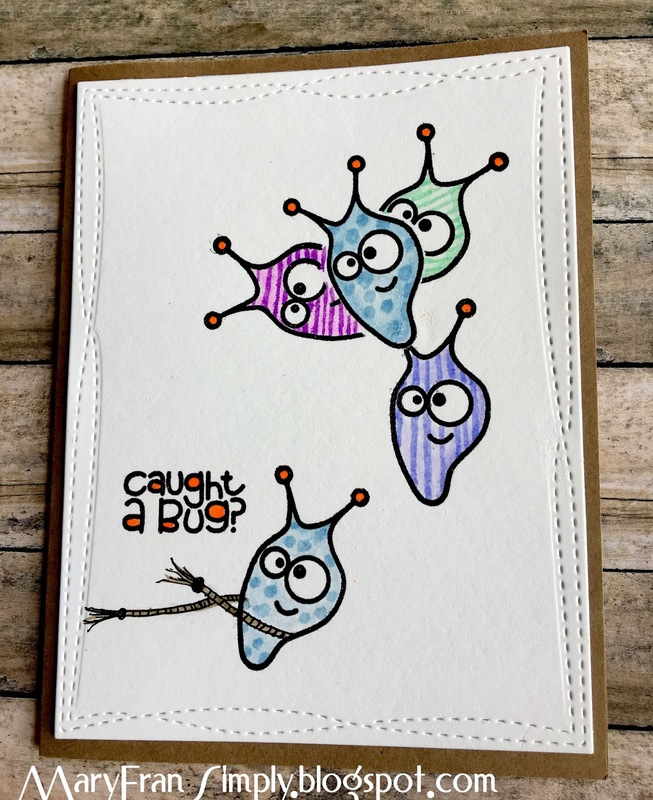 I colored the bugs with zig markers, adding some additional stripes and dots, and die cut the panel and Voila!